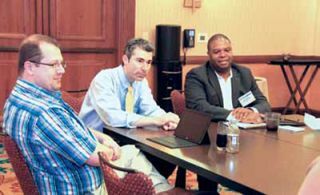 The SchoolCIO Summit session on “Common Core: Preparing for 2014” focused on four pivotal questions related to the standards and assessments. ‘‘ “Over this past school year, teachers had 25 days of professional development and collaboration time to develop units of study. We pulled together teams of teachers at each grade level to take the lead on this.